Reigning Fans' MVP reclaims lead. 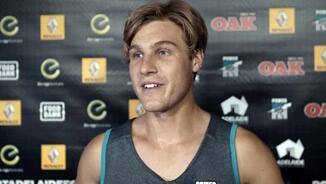 Polec for the Power and Mitchell for the Magpies voted best afield last weekend. 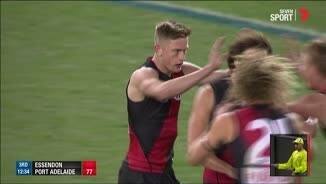 runner when fit and defends hard, meaning he can challenge Port’s more experienced players for a place in the team. 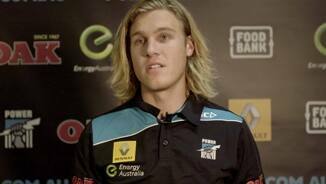 Rated a top prospect before last year's NAB AFL Draft, the Power were delighted to snap him up in the Pre-Season Draft. The highly skilled half-back flanker from Central District played 10 games, including two finals, in his first year and showed promise as a talented outside midfielder. 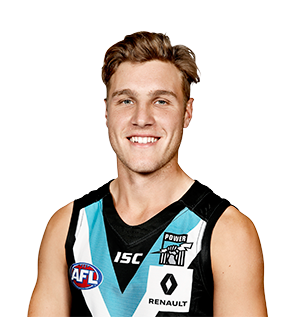 Colquhoun was among Port Adelaide’s best SANFL performers early in the year and was a selection prospect for AFL honours given his consistent form at local level before injuring his anterior cruciate ligament against West Adelaide in Round 4. Returned from his knee reconstruction in the Power's senior side and displayed a good understanding of the game, and hand and foot skills in his six AFL games.